ignored requests by NOAA to begin barging juvenile salmon and steelhead downriver, an irrigator group argues in seeking an investigation. The Columbia-Snake River Irrigators Association is calling for an investigation of actions by fisheries managers they say were fatal to federally protected juvenile salmon and steelhead in the Columbia-Snake river system. The irrigators claim that in the spring of 2015, those managers compromised juvenile fish survival and the subsequent return of adults by allowing the fish to remain in the Lower Snake River during extremely poor river conditions -- low flows and high temperatures -- rather than barging them downstream in the Army Corps of Engineers' transportation program. In their July 10 request, the irrigators asked the inspectors general of the Army Corps and the Department of Commerce National Oceanic and Atmospheric Administration to investigate the issue. In response to Capital Press inquiries, the agencies stated they have received the request and are reviewing it. The irrigators said the managers deviated from the legally required "spread the risk" policy under the Endangered Species Act biological opinion on fish management in the river system. 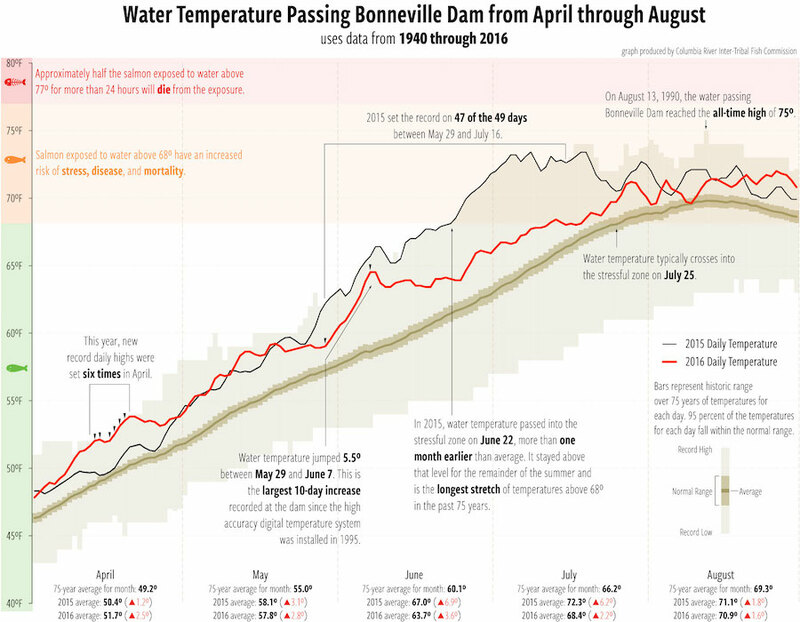 The policy boils down to leaving half of the juvenile fish in the river and transporting the other half downriver to below the Bonneville Dam when river conditions threaten successful migration. In 2015, managers transported only 13 percent of the juvenile fish -- the lowest percentage on record dating back to 1993. The policy has been in place for decades and was upheld in U.S. District Court in 2005. "It's there to protect fish. It's a tool to ensure survival," said Darryll Olsen, board representative of the irrigators association and a regional planning and resource economics consultant. Severe conditions existed in 2015, and managers should have been maximizing the juvenile transportation program, he said. Fish managers knew by April 1 that river conditions were potentially lethal, and NOAA Fisheries twice requested an early start date for transporting juvenile fish. Those requests were rejected, and there's no administrative record showing why, he said. By the time transport started a month later, 60 percent of the chinook and 50 percent of the steelhead had already tried to migrate, he said. "It was just raw stupidity," he said. The debacle is rooted in a larger problem -- endless ESA litigation by environmental groups and the state of Oregon. Over the past 25 years, those groups have filed multiple legal actions challenging the validity of the biological opinion guiding hydropower operations, he said. The irrigators association -- which consists of private pumpers, municipalities and food processors -- has been involved in that litigation as a defendant intervenor since 1992. The litigation has jeopardized water rights and led to higher power costs, with the Bonneville Power Administration spending $17 billion of rate-payers' money to mitigate for fish, he said. The situation is out of control, and the litigation needs to stop, he said. The 2015 transport failure "demonstrates how insane this has all become ... they are so enthralled with trying to do natural river conditions and spill, they're killing the fish," he said. The irrigators association is urging the Department of the Interior to intervene. The ESA statute provides for executive action to convene an ESA committee -- or God Squad -- to determine what's to be done. It would set reasonable boundaries for hydro-system operations that would end the cycle of repeated litigation, Olsen said. "It's a way to bring closure to a situation that's out of control," he said. The God Squad would consist of representatives from federal agencies and Northwest governors. It would establish a federal mitigation plan for hydro-project operations under the ESA that would be subject to judicial review but not subject to litigation.